Did you know that if you used paper plates, you wouldn't have to do the dishes? That's not true, of course. You still have the pots and pans and utensils. But I know a few people who use paper plates because they have less to wash. Really? A plate takes less time to wash than almost anything. Whatever. The first dish wasn't a dish at all. It was probably a large leaf, or a chunk of bark, or something similar that would hold something. The first dish made by man was a bowl. The first bowls were carved out of wood. They were vitally important to early man. They are how food was stored, water was collected, meals were prepared. Once man learned how to mold clay and make it waterproof, water jugs appeared. For a long time, that's all there was. People didn't see a need for anything else. Except cups. Cups made it easier to drink the water stored in the jugs. Early man would put all the food into a bowl, and people would just grab a hand full and eat away. Individual place settings were unheard of because pottery was not cheap, and there were no tables anyway. When bread was invented, people started using it like a plate. hat gave some genius the idea of making plates to put your food on. But, still, pottery wasn't cheap, and it broke a lot. Plates were sometimes carved out of hard woods. By their nature, plates were labor intensive to make, so usually, a family only had one, and they shared it. And it was the same with a drinking cup. Pottery breaks, so to keep expenses down, everyone shared a cup as well. As pottery evolved into ceramics, plates and cups and bowls became cheaper, so a family could afford to buy more than one set. Today, we see people putting their coffee or tea cups onto a saucer. But it wasn't always that way. When the saucer was originated, it was used to hold sauces. You could dip or pour the sauce from the saucer. (did you catch the connection between the word sauce and the word saucer?) But, once people stopped using the saucer for sauces, it still wasn't used for placing your cup on. No, in the beginning of coffee consumption, and even for some tea drinkers, you would be served your beverage in a cup, which you would then pour onto your saucer and sip it from that. It helped to cool the hot beverages, and also made it easier to avoid the rampant detritus left over from the brewing process. 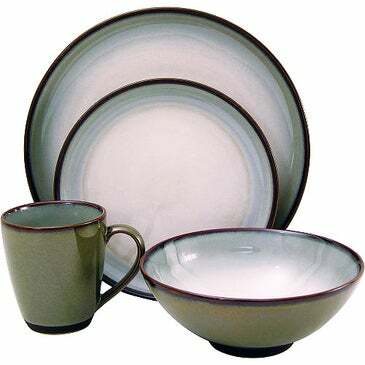 But, as manners evolved, (and brewing techniques improved), the slurping from saucers faded away, and saucers were used for holding the cups to catch spills. Hmm....should I tell you about napkins, or save them for another day? Aw, what the heck......I'll tell you about napkins too. Napkins have been around since the ancient greeks. Back then, if you'll remember, forks weren't used, hands were. Food back then was just as goopy and greasy as it is today, so a small little napkin like we have now just wouldn't cut it. The napkins back then were about the size of a bath towel. They needed to be that big. The evening meal would last for 2 to 3 hours, minimum. The Romans started adding finger bowls for each person, to make the cleaning easier. Interesting side note, Jesus was criticized for not washing his hands before eating. He responded that it wasn't important what went in the mouth, but what came out of it. Ok. I can't be not gross two days in a row, so here's your obligatory grossness. In Europe, about 1,000 years ago, it was considered bad manners to blow your nose into your napkin. The proper thing to do was to blow your nose into your hand and wipe it off from there. The 15th century grave of the French king Philip the Bold features a statue of one of his knights blowing his nose into his fingers. I know what you're thinking, readers. You're thinking "did he write six posts or only five without being disgusting?" Now to tell you the truth I forgot myself in all this excitement. But being this is Whitenoise, the most influential blog in the world and it will blow your mind daily, you've gotta ask yourself a question: "Do I feel lucky?" Well, do ya, readers?